Farnborough bathroom fitters, RoJo can provide a full range of bathroom installation services including tap fitting and installing a bath or shower. 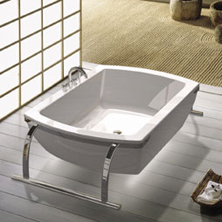 Whether it's a free standing slipper bath or fitted spa bath with pump, lights and jets, RoJo can supply and/or fit them. 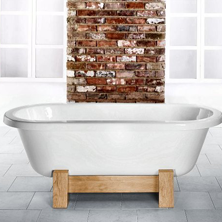 From super steel and cast iron, to acrylic, in a range of traditional and modern designs to suit all tastes, RoJo can help you with baths to fit your needs and over all bathroom design. Contact us for more information on the full range of services that we can provide throughout the Farnborough and surrounding Hampshire area.